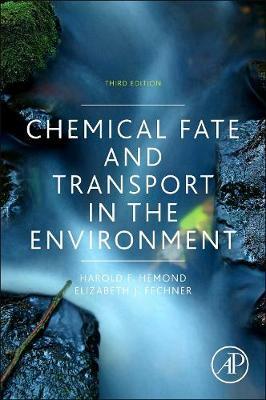 The third edition of Chemical Fate and Transport in the Environment-winner of a 2015 Textbook Excellence Award (Texty) from The Text and Academic Authors Association-explains the fundamental principles of mass transport, chemical partitioning, and chemical/biological transformations in surface waters, in soil and groundwater, and in air. Each of these three major environmental media is introduced by descriptive overviews, followed by a presentation of the controlling physical, chemical, and biological processes. The text emphasizes intuitively based mathematical models for chemical transport and transformations in the environment, and serves both as a textbook for senior undergraduate and graduate courses in environmental science and engineering, and as a standard reference for environmental practitioners.